I can hardly believe how Frans Timmermans has changed from a PvdA (Labor party) parlementarian to an establishment Foreign Minister and placing all blame on Hamas in the Gaza conflict. He even suggests to let the Palestinian Authority rule over all Gazans as a first step towards security for Israel. It's a sad, sad day for Dutch politics and the Partij van de Arbeid, Dutch Labor Party of Drees and Den Uyl. Dutch society has changed and has adapted to the presence of Geert Wilders and the default position of anti-Islam. The FM of the Dutch cabinet toeing the narritive line of conservative politics in Europe and the United States on Israel. An astonishing fact in his writing, in the article Jews are written with capital letter J, for the muslims that would be just too much of equality, he used a lower case letter. Link via Facebook page Frans Timmermans. "Palestinian Authority must lead in an unity coalition in Gaza," according to minister Frans Timmermans in today's NRC newspaper. The images of the suffering in Gaza are branded on our retina. The number of civilian casualties is difficult to comprehend, as well as the apparent inability make it end. This unacceptable tragedy repeats itself every few years, without the result, pursued by Hamas with the rain of missiles, or by Israel with the bombardments, getting any closer. The fate of the Gazans is not improved, Israel's security cannot be guaranteed as durable. Only the hatred, the fear and the hopelessness is fueled by it. Without the Iron Dome missile shield, the rain of rockets coming from Gaza would have claimed many lives. [FALSE] Israel has the right to defend itself and uses the principle that civilian casualties should be avoided wherever possible. Despite this, and despite the most modern weapons, a very high number of civilian casualties is the result. The consequences of the attacks on Gaza are that UN schools and even hospitals are hit. That is unacceptable and contrary to the careful conduct which the Israeli army said to pursue. In all these incidents, independent investigation must be done. Israel should be held to the standard that it itself says to pursue. 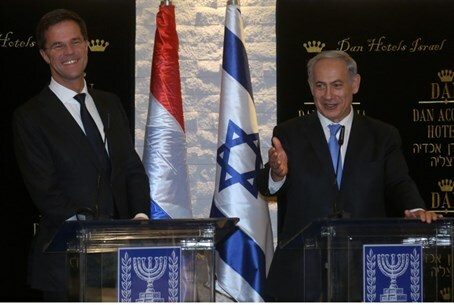 Dutch Prime Minister Opposes Water Boycott [he says] Reality is quite harsh for Netanyahu! The suffering of the Gazans can hardly be alleviated because the supply of food is difficult. Even without war the population had hardly any perspective. The violence and more than 1,800 deaths seem to take the last bit of hope away. Israelis are fed-up with the rain of missiles and demand, as we would do the same from our government, security. Hamas is willing to sacrifice the lives of countless innocent civilians in an attempt to bring unattainable political goals closer. Thus innocent civilians are caught between hammer and anvil. Only when the fighting ceases, can underlying reasons for the conflict be contested: the hopelessness, the subordination, oppression and isolation of the population in the area, from which Hamas derives its ideological appeal. Imagine that the many millions of funds, invested in rockets and tunnels, would have been used by Hamas in development of Gaza. In what position would we be now? It is especially important that Palestinians are going to ask this question. Only when the digging of tunnels is stopped as the purchase of rockets, in agreement with U.N. Security Council Resolutions, there is a chance that Israel feels safe enough, to offer Gaza with the UN and led by a Palestinian unity government enough leeway to integrate with the West Bank and exploit the ideal. convenient location by the economic opportunities Gaza offers to exploit the economic opportunities of its convenient location. Gaza offers, by location and human capital, opportunities for the economic development of a future Palestinian state. Obviously, there should be no ambiguity about the need to ensure the security of Israel. There is certainly no ambiguity about Timmermans' position in favor of Israel. Gaza City (NRC) June 2009 - Minister Koenders (Development, Labour) visited the affected Gaza Strip. Minister Maxime Verhagen (Foreign Affairs, CDA) refused last week during a visit to Israel. 'Ii's my responsibility to help rebuild Gaza, so it is natural that I come here." It was precisely John Ging, head of the UN agency UNRWA in the Gaza Strip, who brought up the controversial issue. Minister Bert Koenders (PvdA) of Development, standing next to him, when Ging said it took "political courage" to spend time for a visit to the Gaza Strip. THE HAGUE (JPost) Aug. 5, 2014 - PA Foreign Minister Riad Malki said that the Palestinians were now preparing to join the International Criminal Court in order to file war crimes charges against Israel.The PA has been facing growing pressure from Palestinians to join the ICC in order to bring war crime charges against Israel, particularly in the aftermath of the Protection Edge military operation. Malki met Tuesday with officials of the ICC in The Netherlands to discuss the war in the Gaza Strip. Malki's office said that the purpose of the meeting was to inquire about the legal procedures required for the "State of Palestine" to join the ICC and sign the courts founding treaty, the Rome Statute, in order to take action against possible Israeli war crimes. write an opinion piece about the Gaza War and Hamas without the Dutch terms 'bezetting' and 'nederzetting,' translated as occupation and settlement. Fair enough? (Mondoweiss) - Hamas is offering Israel a 10-year truce if it accepts 10 conditions. The Jerusalem Post reports, based on an Israeli Channel 2 newscast, that Azmi Bishara announced the proposal on Al Jazeera television today. (Huff. Post) - In her resignation letter to the prime minister, David Cameron, Warsi wrote that Britain's support for Israeli military action against Hamas, which has resulted in the deaths of more than 1,800 Palestinians over the past month, "is morally indefensible, is not in Britain's national interest and will have a long term detrimental impact on our reputation". Warsi's decision to quit makes hers the first ministerial resignation 'on principle' since the coalition was formed in 2010 and comes in the wake of attacks on the prime minister's handling of the Gaza crisis by Labour leader Ed Miliband - and a 72-hour humanitarian truce agreed between Israel and Hamas in Cairo on Monday evening. Speaking exclusively to The Huffington Post UK in her first interview since resigning on Tuesday morning, the Tory peer accused the coalition of failing to act as an "honest broker" in the Middle East and called for an immediate arms embargo against Israel. "The British government can only play a constructive role in solving the Middle East crisis if it is an honest broker," the former Foreign Office minister said, "and at the moment I do not think it is." EREZ CROSSING, Israel (BuzzFeed) -- Raz Carmi was literally dragging his feet as he left the Gaza Strip. "I'm not in a hurry to leave, because I know I'll be back soon," said Carmi, a 24-year-old reserve army officer. "This isn't over." Nearly a dozen Israeli soldiers who spoke to BuzzFeed upon leaving Gaza voiced similar sentiments. Some were happier to leave than others -- some felt troubled, while a few soldiers said they felt scarred by what they had seen during the weeks of fighting. All, however, expressed frustration at a "job not yet done," and seemed certain they would soon find themselves back in the Gaza Strip. "What were the objectives going in? There's some confusion there," said Carmi. "So how are we supposed to know going out that we completed our goals?" 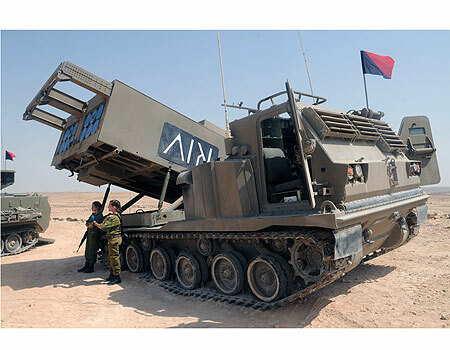 "Representatives of the Israel Defense Forces (IDF) say operations are finished now that all known tunnels between Israel and Gaza have been destroyed, but it's not clear what kind of long-term security solution will be put in place. Haaretz reports that prime minister Benjamin Netanyahu will push for an internationally supervised demilitarization and rebuilding process." Alon, 19, and David, 19, two Israeli soldiers who fought in the northern part of Gaza said they had "leveled" the area. "When we left, we made sure there was nothing left standing, no resistance," said David. Both he and Alon refused to give their full names as they are still in active combat duty, and Israel's military requires them to do interviews through the Israeli spokesman's office alone. "That's the only way to leave Gaza." h/t Tikun Olam - Embedded Maariv reporter says IDF fired guided missle at UNWRA school on 7/24 which killed civilians sheltering there. Just published via website Dutch government, 19 pages of Q&A between parliament and cabinet of ministers. I'm still reading the document. The Dutch state there is no non-disclosure agreement between Ukraine, Belgium, The Netherlands and Australia. The document lists a SBU report - http://www.sbu.gov.ua/sbu/control/uk/publish/article?art_id=129834&cat_id=39574. There is none I could find.